The Rapid Action Battalion (RAB) has a questionable reputation and for the most part that reputation is justified. Over the past five years, hundreds have died in apparent 'crossfire' encounters. Human rights organisations both nationally and internationally have investigated hundreds of other stories of torture, yet within the country not much has been done about the organisation that was created to protect people's rights, not abuse them. 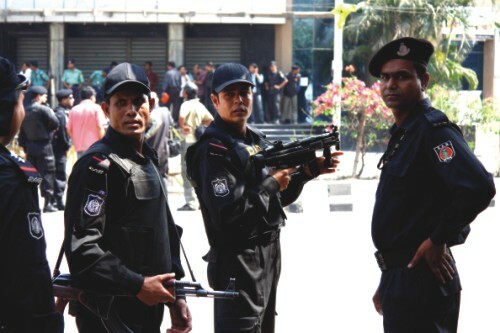 Unlike Bangladesh's Police forces, RAB has remained largely untouched by corruption, they performed their tasks with dignity and distinction and for the most part they were (and are still at times) well received by the public. RABs special achievement has been in fighting terrorists and militants since their spectacular takedown of the Jama'atul Mujahideen Bangladesh (JMB) leader Bangla Bhai and his associates. RAB has continued to capture terrorists and their weapons from their hideouts, thus also preventing possible bomb attacks. This year marks the fifth anniversary of the creation of RAB and it provides the current government with the perfect opportunity to investigate the allegations of torture, intimidation and extra-judicial killings by our own men in black. The culture of impunity must be dismantled. It is difficult to understand the creation of RAB without understanding the culture of impunity that surrounded its beginnings. When the Bangladesh Nationalist Party (BNP) was voted into power in 2001 much of their manifesto focussed on the deteriorating law and order situation in the country and a year into their tenure the situation became so shocking that they initiated their famous Operation Clean Heart. Even though the law and order situation had unravelled to dangerously high levels, the operation was seen by many as unnecessary even bordering on unconstitutional. For 85 days from October 2002 to January 2003, 40,000 military personnel were deployed to fight crime, and purge the underworld. 10,000 people were arrested with over 50 of them dying in custody due to 'heart attacks'. Some people claimed to have been tortured in custody while the high number of deaths in custody also raised questions of human rights abuses. 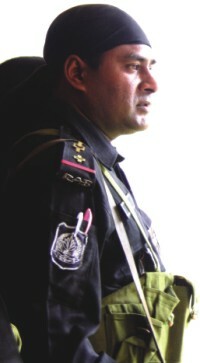 All those grievances were swept under the rug when on January 9, 2003 the BNP proposed The Joint Indemnity Act 2003, which granted immunity from prosecution to government officials and the armed forces for their involvement in "any casualty, damage to life and property, violation of rights, physical or mental damage" between October 16, 2002, and January 9, 2003. Numerous 'heart attacks' in custody which led to death were papered over as well as countless allegations of torture. The moderate success of the drive prompted the government to create a new unit of the police force called the Rapid Action Team (RAT). RAT proved to be a colossal failure and within months it was disbanded and thus paved the way for the Rapid Action Battalion. The problem with RAT was that it was disorganised, corrupt and there was a serious shortage of trained professionals. The government realised that their only previous success was with the army and Operation Clean Heart and decided to form a new taskforce that would be made up of members of the armed forces as well as the police. This new taskforce was seen as the best way at the time to tackle the unlawful elements in the country as the Minister of Law, Justice and Parliamentary Affairs Moudud Ahmed said, "Our police are inadequate. They do not have sophisticated weapons nor do they have sufficient training." And with the stroke of a pen a new force was created to tackle crime. While at first they garnered strong public support, even that started to wane as stories of excessive use of force and 'encounter' killings made their way into the headlines. RAB never had a problem getting a job done; their real problem was how they went about achieving their goals and the lives they destroyed in the process. The history of RAB could also be divided into two distinct phases, one under the BNP led government and the other under the Caretaker Government. From June 2004 till the end of the BNP government in late 2006 RAB went about cleansing the country of its evils. Murderers, rapists, absconding criminals and others were caught and brought to justice, RAB style. The official line continued to be that the particular individual died in a crossfire between RAB officials and the criminals gang members. In the beginning people celebrated that known criminals were being taken to task, yet soon those celebrations turned sour as the same story of their deaths were being repeated around the country on an almost daily basis. Something was up, why was it that so many people had been captured alive and mysteriously died during crossfire while they were leading the RAB to a stash of arms or towards other members of their groups. 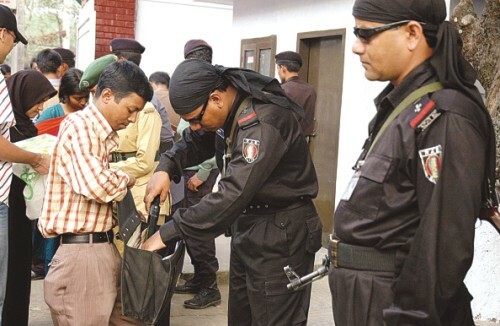 Sources close to RAB even went so far as to say that lists of people to be eliminated were compiled and may have even been checked by the Home Ministry before they were picked up and ended up being casualties of crossfire. Chillingly not one but two governments have remained silent over the crossfire issue. In light of this information a few brave people in the media chose to highlight the issue as it steadily started to build momentum in the public sphere. Yet even in the face of large-scale public disapproval, the deaths continued and interestingly not many people from the bereaved families even went so far as to lodge a complaint. Why was that? The answer as Human Rights Watch, Amnesty International and Odhikar as well as numerous other national dailies found out was that the families of those who had been killed had been threatened and coerced into not talking about the incidents. As it so happens even if people did talk to the authorities then there was not much that could be done. Human Rights Watch says that aside from threatening people, often when someone does have the courage to speak out against RABs activities or to formally complain against them, those complaints are not even accepted by the police as people face further harassment at the police station. That has led to many people giving up on the justice that Bangladesh should provide for them through the courts of law and the police. Interestingly RAB is protected by a number of laws which essentially prevent its officers from being charged with crimes they may have committed while on duty and in the workplace. Article 46 of the Constitution of Bangladesh says, “Parliament may by law make provision for indemnifying any person in the service of the Republic or any other person in respect of any act done by him in connection with the national liberation struggle or the maintenance or restoration of order in any area in Bangladesh or validate any sentence passed, punishment inflicted, forfeiture ordered, or other act done in any such area.” Some jurists have said it led to the Indemnity Act of 2003 that protected officers from Operation Clean Heart and if nothing is done to repel the ordinance or to interpret the constitution differently then sometime in the future the activities of RAB could potentially be indemnified using the same logic. 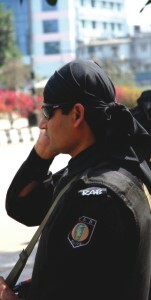 Dr Shahdeen Malik, a Supreme Court lawyer and Director of the School of Law at BRAC University who has been an outspoken critic of RAB's human rights violations says that Article 46 and others such as Section 13 of the Armed Police Battalions Ordinance which states "no suit, prosecution or other legal proceeding shall be against any member of the Force for anything which is done or intended to be done in good faith under this Ordinance," are not as bad as they seem. He says, “There are provisions such as this around the world for a variety of people working in a great number of government professions. It is not very unusual, but the real problem is that in the face of repeated threats and bodily harm these seemingly innocuous clauses become rather important indeed.” They become giant shields for taskforces such as RAB, to hide behind, aside from already threatening people from talking or filing complaints against them. RABs special achievement has been in fighting terrorists and militants since their spectacular takedown of the Jama'atul Mujahideen Bangladesh (JMB) leader Bangla Bhai and his associates. There is a point to be made here, those articles and sections do not protect people blindly, if there is a legitimate claim against a RAB official or for that matter any other government official, acts such as Section 13 and Article 46 do not indemnify them from being held accountable. Legitimate complaints will be heard and investigated, but in light of the fact that most people are too scared to even complain against RAB, those innocuous laws act as just another barrier against them ever being prosecuted or tried for their activities. Dr Malik says the tacit acceptance of RAB by two previous governments and for that matter the current one is worrying for a variety of reasons. “Let's be honest there are numerous other so called 'death squads' around the world, just look at South East Asia. The problem with RAB is that they are essentially officially sanctioned. Elsewhere in let's say the Philippines it is commonly known and accepted that the government runs a 'death squad' that picks up and kills so-called enemies of the state indiscriminately. But the government will deny having anything to do with the disappearance of anyone. At least to the public they will never admit that they were ones that broke the law, thus, in a way their lies uphold the sanctity of their judicial system, because they do not act as they are above it." He goes on to say, "In Bangladesh the problem is that the government openly claims that people were held under its (RAB and other forces) custody and then they died under mysterious circumstances. By saying that and essentially accepting the blame for the deaths in custody the government is showing how twisted its laws and judicial process is, it is accepting that many criminals will never be tried therefore the only way to deal with them is to kill them.” This has had a crippling effect on the judicial system in Bangladesh and if this practise of accepting the deaths in custody continues then it will sooner rather than later lead to the end of our fragile legal system. This wholesale level of government acceptance must be stopped or else the damage to our international reputation and our judicial system will be irrevocable. Now the real problem is what to do with RAB? While hundreds have died in their custody, thousands of other of criminals have been caught by them, while hundreds have allegedly been tortured by them, they have made major national security advancements and while thousands have been threatened by them they have brought crime down to manageable levels. The answer lies in our criminal justice system, which continually allows criminals to get bail so that they can repeat their crimes, opening up the scope for rough justice. When Shekih Hasina said she would take a zero-tolerance policy towards extra-judicial killings most people took it to be yet another empty promise from a politician. She should stick to her word but most importantly her work should be retroactive as well as looking towards the future. If she really meant her zero-tolerance policy then she should empower the home ministry to launch a full-fledged investigation into every single unexplained death in crossfire or while in RABs custody.